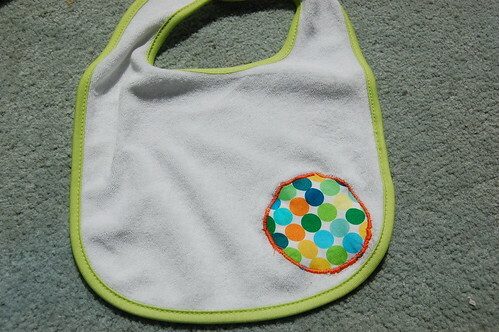 I was in need of a quick baby gift I could make from things I had around the house. Since they came out so cute I thought I would share a little about how I made them. 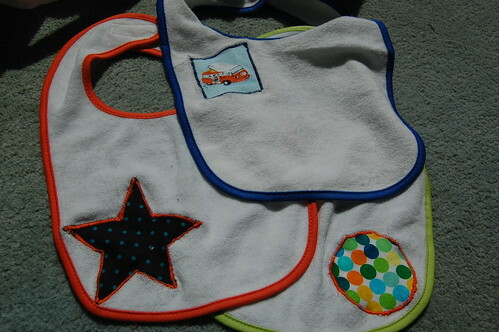 I happen to have a stash of blank baby bibs (from Ikea) in my sewing box that had been waiting for just this occasion. My favorite baby gifts so far are the flannel blankets I made for Tillie but I didnt have time to shop for fabric and run it through the washer for this project. Perfect time to bust out the bibs. 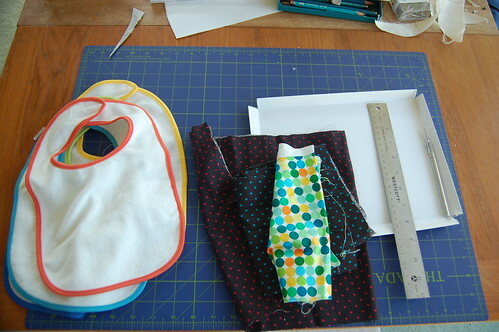 Blank Baby bibs, cute fabric for applique, stiff card (from my recycling bin), ruler, pencil and cutting devices for card and fabric. 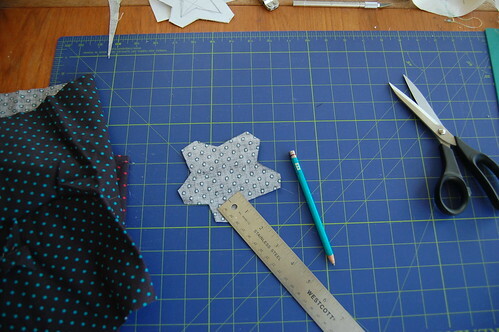 I did a few different designs but these photos will show how I made the star. 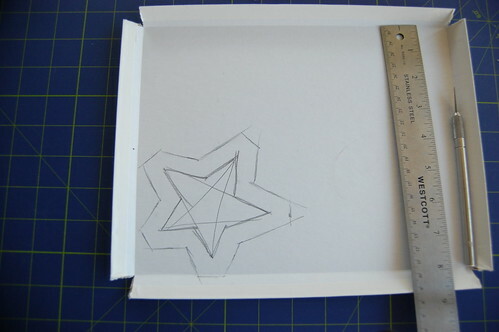 Then I cut out the stencil using an exacto knife and a ruler. 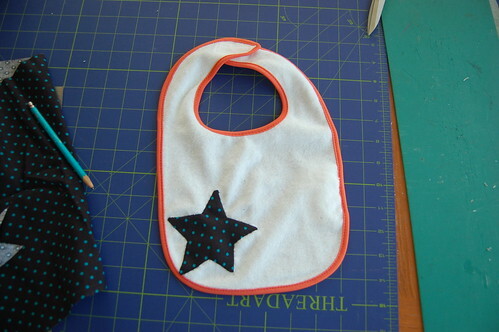 At this point you could use the iron to press the seam allowance under but I was too lazy, so i just pinned it to the bib. 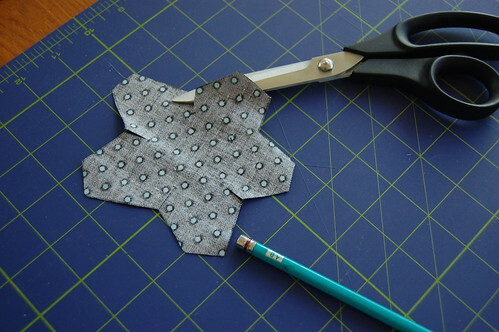 I did press the seam allowance for the circle because it was too difficult otherwise. 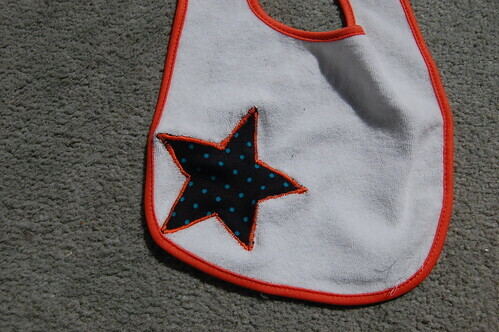 I sewed the star to the bib by hand using an invisible stitch (maybe called an applique stitch? im not sure). 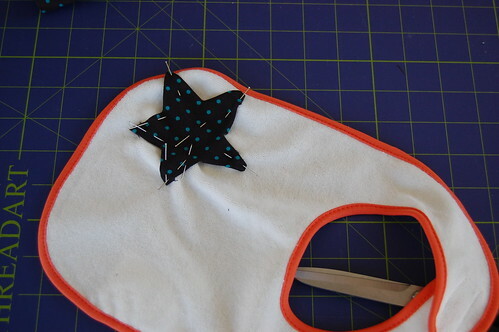 Since I was going to zig-zag around the edges I probably could have gotten away with basting but it didnt take very long to sew it properly and then I didnt have to remove any stitches. 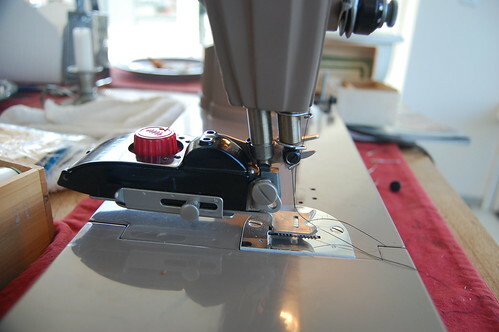 I used the zig-zag attachment for my Singer 301 to make a reinforced (and decorative) edging around the applique. 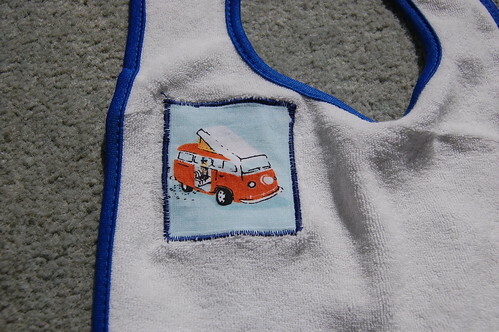 I also made a circle and a patch of a VW pop-top camper bus. Hopefully the little guy will like them!